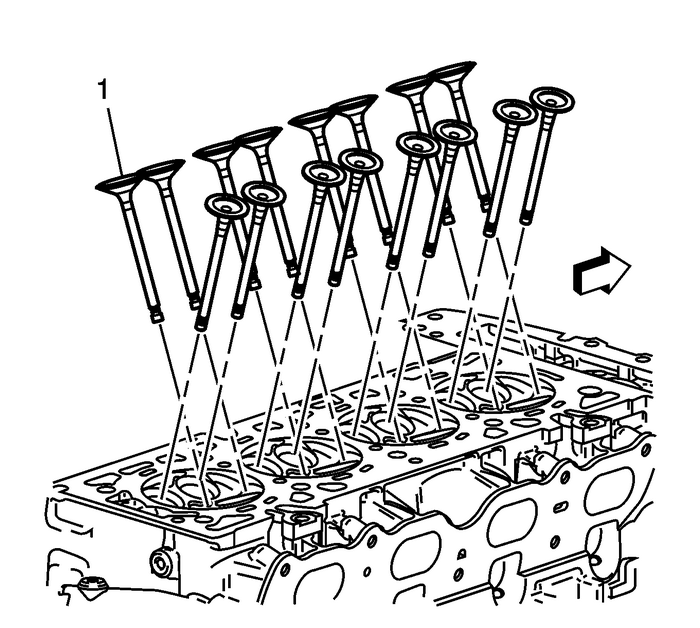 Caution:In order to avoid damage, install the spark plugs after thecylinder head has been installed on the engine. 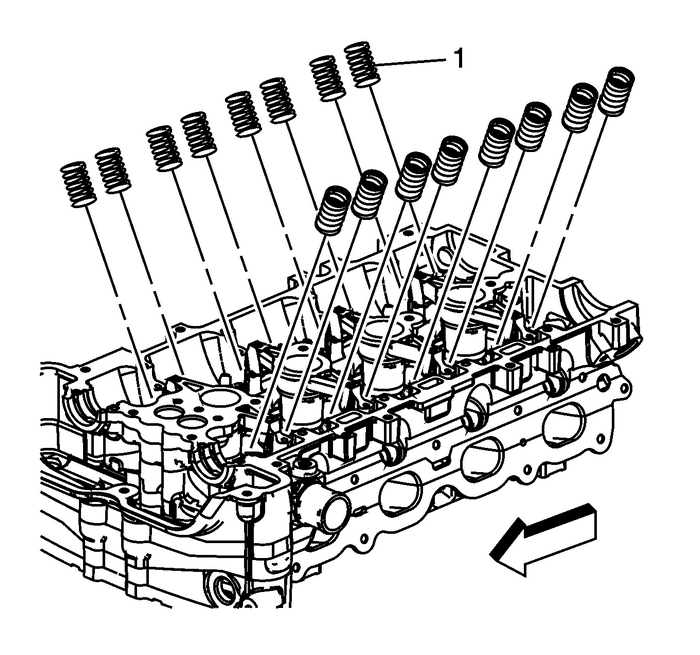 Inspect the valves and the valve seats. Refer toValve and Seat Grinding. Install the valves-(1). Replace the valves, ifrequired. 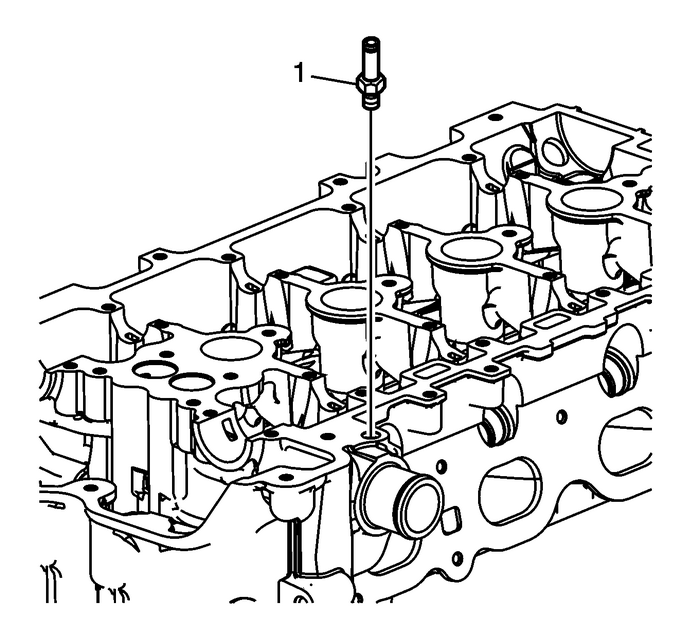 Note:Always use NEW valve stem oil seals when assembling thecylinder head. 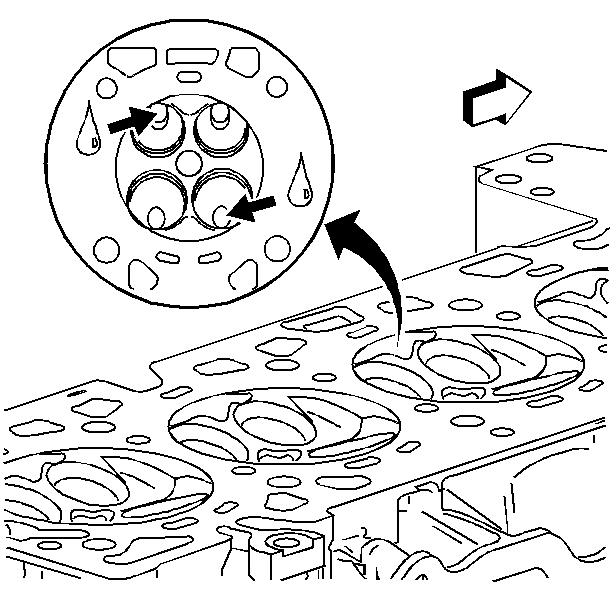 Install the NEW valve seals-(1). Fully seat theseals on the valve guides. 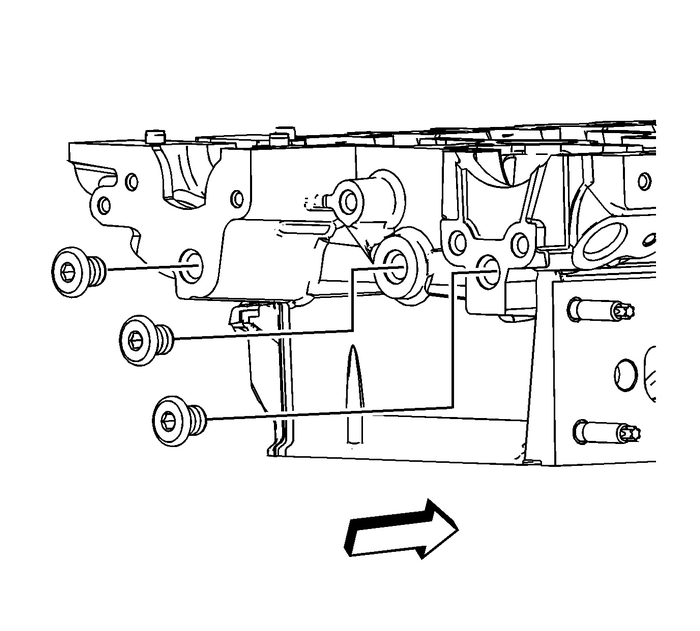 Install the retainers and keys using the followingprocedure:Install the retainer-(2).Using theEN-8062compressorand theEN-43963compressor, compress the valve spring.Install the valve keys-(1).Slowly release theEN-8062compressorand theEN-43963compressor (off car)from the valve/spring assembly.Inspect for proper valve key seating. 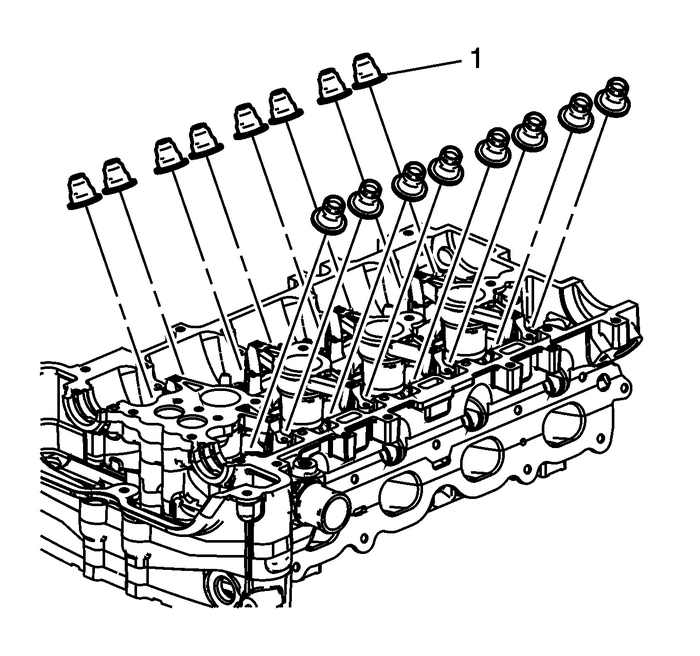 Lubricate the camshaft position sensor O-ring with cleanengine oil. 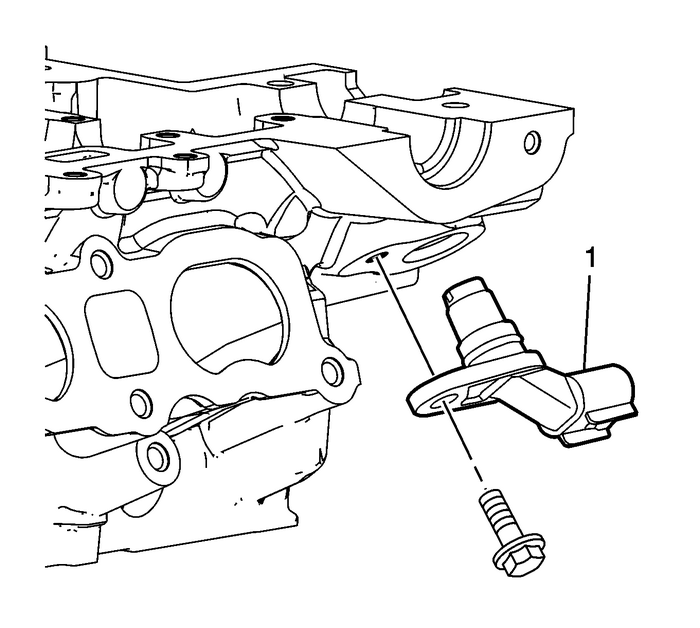 Install the intake camshaft position sensor-(1)and bolt. Tighten the bolt to10-Y(89-lb-in). 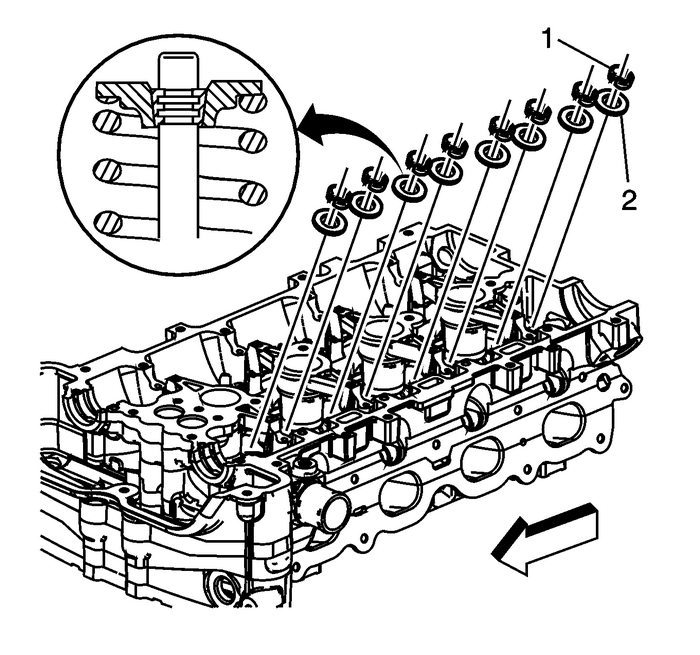 Install the cylinder head air bleed tube-(1) andtighten the tube to15-Y(11-lb-ft).